In this segment of Medscape One-on-One, Joseph Selby, MD, talks with Eli Adashi, MD, about his new role as head of the Patient-Centered Outcomes Research Institute, its mission, and how physicians might benefit from this institute created under the Affordable Care Act. Dr. Adashi: Hello, I am Eli Adashi, Professor of Medical Science at Brown University and host of Medscape One-on-One. Joining me today is Dr. Joseph Selby, family physician, health service researcher, and the first executive director of the Patient-Centered Outcomes Research Institute, or PCORI for short. Welcome. Dr. Selby: Thank you, Dr. Adashi. Dr. Adashi: Let's begin with some basics. What was it that led to the establishment of PCORI? And while we're at it, what is it primarily about? Dr. Selby: Good questions. I think the creation of PCORI as part of the Affordable Care Act (ACA) was the culmination of a process that goes back 10 or maybe even 20 years. It's several processes that came together to support a growing appreciation that patients and their clinicians, despite the hundreds of millions of dollars pouring into clinical research each year in this country, often find themselves at the point of needing to make a decision and not quite having the information they need. Either the research covered patients who weren't quite like the patient in the office at that moment, or the research did not address a particular outcome that is important to this patient. The research may not have gone on long enough to identify the rare safety outcome that the patient is now wondering about. It stemmed from a growing appreciation that research has not really come to meet all the needs of patients and their clinicians, number one. Number two, there's a growing appreciation that it's important to do research in real-world settings where patients get their care, and that with the advent of, for example, the electronic health record and other computerized databases, we may be getting to the point where observational studies can help compliment clinical trials research. The idea is to do comparative effectiveness research, where practical comparisons between 2 or more treatment options that patients are considering are studied, where the full range of outcomes that are important to patients get measured and compared; where the study is done in real patients with multiple comorbidities and their extremes of age and functional status are observed; and where attention is paid to the possibility that the treatments might have different effects in different individuals, such that we may be able to spot characteristics that will predict who's going to benefit from a treatment and who's not. All of that, which came to be called, in the first decade of this century, "comparative effectiveness research," was on the minds of legislators who were crafting the ACA. And comparative effectiveness research, or comparative clinical effectiveness research, was the purpose for which PCORI was authorized. At about the same time, comparative effectiveness research went through a phase where it was linked in some people's minds to rationing, to cost-effectiveness measurement, and had transiently acquired a dubious name. Because of this, Congress decided that it would not call the agency the Comparative Effectiveness Research Institute. Instead, they labeled it the Patient-Centered Outcomes Research Institute. And that has made a big difference. But we were authorized to conduct the kind of research that engages patients and clinicians and addresses questions that are important to them. How Did PCORI Make It Into the ACA? Dr. Adashi: Can you shed some light on how PCORI made it into the ACA? Dr. Selby: Yes. I just think that we see a growing interest in outcomes research. We talked about outcomes research back in the late 1980s and early 1990s. The Agency for Healthcare Research and Quality (AHRQ) funded the patient outcomes research teams in the early 1990s. That stemmed from an appreciation that we really needed to collect outcomes data. The notion of comparative effectiveness research itself arose early in the 21st century. The Medicare Modernization Act authorized the funding of centers through the AHRQ to begin doing some comparative research. That was around 2003, so by the time the ACA was being considered, there was a lot of interest, a lot of appreciation for the fact that research was not meeting the needs of physicians and patients. There was some thought that comparative effectiveness research, among other things, could identify wasteful therapies and decisions that were currently being made in the absence of evidence. Comparative effectiveness research was seen as a vehicle for getting more answers out there, more information at the disposal of decision-makers. Dr. Adashi: Could you say a word or two about how PCORI is financed? Where does it derive its budget from? Dr. Selby: The budget is clearly specified for each year from 2010 through 2019 in the ACA legislation. The funding is ramped up gradually. It was $10 million in 2010, $50 million in 2011, $150 million this year, and each of those contributions comes directly from the Treasury. Each year going forward, the Treasury will contribute $150 million to PCORI, but beginning in October 2013, an additional source of income will come from a $1 fee levied on every insured person, whether they are insured through Medicare, private insurance, or employer-sponsored insurance. That's estimated to generate an additional $200 million in funding for PCORI in 2013. Beginning in 2014 and continuing through 2019, that fee increases to $2 a person, which will mean that more than $500 million will flow into the PCORI trust fund. Dr. Adashi: Taxpayer support essentially comes in 2 forms: through the Treasury and through an insurance fee. Dr. Selby: The fee for insurance companies is $1 per person in 2013 and $2 per enrolled person in 2014, and if that translates to an increase in premiums, then you could say citizens were covering that part of it. Does PCORI Report to Any Other Government Agencies? Dr. Adashi: What is the reporting structure of PCORI? Or is it independent of other government agencies? Dr. Selby: We are independent in the sense that we are not an agency or department of government. I report to a 21-person Board of Governors. The board was appointed by the Government Accountability Office, the GAO, but that is my line of reporting to the board. Dr. Adashi: Were they selected because of their reputation and because of their independence? Dr. Selby: Absolutely, and the GAO did a remarkable job of selecting 21 remarkable individuals. It was specified in the legislation that the board be a multi-stakeholder group. That means, on the board, that you see patients and patient caregivers. You see clinicians, physicians, nurses, chiropractors. You also see hospitals, health plans, employers, and government representatives. The whole industry is represented on this multi-stakeholder board. How Does PCORI Differ From the Cochrane Collaboration? Dr. Adashi: A question you almost certainly have heard before and that some of our viewers almost certainly contemplated has to do with the distinction between PCORI and other undertakings, such as the Cochrane Collaboration and programs that engage in systematic reviews or meta-analysis of data. In what way does PCORI stand out to other efforts? Where is it unique and distinct? Dr. Selby: I think the most striking difference is that we are a research funding institution. The Cochrane Collaboration collects, disseminates, and guides the creation of evidence syntheses. We will fund some evidence syntheses, but we'll also fund a lot of empirical research, including observational research and randomized comparisons. So, we are a funding institute of substantial size in distinction to, as you mentioned, the Cochrane Collaboration and several European organizations that synthesize data and go beyond synthesis to supporting policymaking. The other distinguishing characteristic is that we don't make policy; we generate information. How Is PCORI's Budget Spent? Dr. Adashi: Would your budget, as it evolves, be largely spent on grants, with the remainder spent on administrative and other overheard costs? Dr. Selby: By and large, that's right. Twenty percent of the money that goes into our trust fund goes either to AHRQ or other agencies of Health and Human Services. The AHRQ's portion is earmarked for dissemination, and it also goes to training and developing the manpower to do this kind of research. Beyond that, you're absolutely right. Of the 80% that comes to PCORI, the vast majority, probably 80% of that, will go toward funding research. You said "grants"; the legislation says "contracts." We see a variety of funding arrangements, from very frank contracts to a large amount of research that is initiated by scientists in the research community partnered with patients and other stakeholders. We call them contracts, but they may have some of the feeling of grants. Is There a Peer-Review Process? Dr. Adashi: Are the applications peer-reviewed as they are at the National Institutes of Health (NIH) and in other circumstances, and are reports issued by the investigators as they progress? Dr. Selby: Yes, precisely. Right now we're working with NIH. We had a small round of pilot projects that were solicited last fall and reviewed in February. They were reviewed by the Center for Scientific Review at NIH. We will be making large funding announcements at the end of May, and those funding announcements, or the applications involved in the funding announcements, will again be reviewed by the Center for Scientific Review. We work closely with them; we modify the review criteria; we participate in recruiting the reviewers who sit on these panels; and we add 3-patient or stakeholder reviewers to every panel. That's quite different from the typical NIH review in that we have patients who we work with in advance to make sure that the research we're funding is truly patient-centered and that we have patients engaged in the process. What Role Does the Executive Director of PCORI Play? Dr. Adashi: As the executive director of PCORI, how would you define your role? How do you divide your time? Dr. Selby: We're still in startup mode, so the phrase that we use in the office is "all hands on deck." I will be recruiting one moment and helping to write a funding announcement the next. And then in the next moment, I might be giving a presentation somewhere, working with the board on teleconferences, or preparing for meetings. And the same can be said for all of my colleagues, the 18 people who are now employees at PCORI. Dr. Adashi: Earlier this year, in January and in March, some significant pronouncements were made that are fundamental to the mission and direction of the institute. Can you explain the statements or documents that were generated by these pronouncements? Dr. Selby: Temporally, the first one that came out was the definition of "patient-centered outcomes research." We were charged with conducting comparative clinical effectiveness research; we were called the Patient-Centered Outcomes Research Institute, but it begged the question of what is patient-centered outcomes research and how does it relate to comparative clinical effectiveness research? We had a very lengthy process wherein our methodology committee, which comprises 17 experts from across the country appointed by the GAO, discussed every aspect of comparative effectiveness in patient-centered outcomes research, deliberated at length on what patient-centered outcomes research is and reached a conclusion, and then posted a draft definition last August that essentially said that patient-centered outcomes research is research done in collaboration with patients that allows the patient's voice to be heard as specific questions are asked and addressed. "Given my personal characteristics and my clinical characteristics, what can I expect will happen to me?" "Given my personal characteristics and my clinical characteristics, what treatment options are available to me and what are the relative benefits and harms of each?" "Given who I am, what behaviors -- what can I do -- to see that I achieve the outcomes that I prefer?" "Given who I am, what can the healthcare system do to support me in gaining the information and making the decisions that I need to make to obtain the outcomes that I prefer?" That's the definition, and it was posted for public comment. We received 600 comments; some public comments came in through our Website's mail function. The comments were analyzed in-depth; focus groups were held with patients and with clinicians, the methodology committee took all that input, and we posted a revised definition of patient-centered outcomes research. That definition will be in every funding announcement we ever release, and applicants will need to tell us how their research fits with that definition. The second critical piece of work that we've done in the last few months is to lay out PCORI's national priorities for research and our research agenda. In a nutshell, we came up with the 5 priorities for PCORI research. The first 3 include assessments of prevention, diagnosis, and treatment options faced by patients; improving healthcare systems; communications and dissemination research -- that is, how to get the information out and in better ways; and how to communicate to patients and clinicians about the evidence. The fourth is addressing disparities, and the fifth is building infrastructure for conducting patient-centered outcomes research. That set of priorities and the agenda that goes with it, which is a broad agenda that says we are open to compelling questions that fit within these 5 priorities, was posted in late January. Public comment closed on March 15, and we [had] a Webcast meeting on April 25, wherein the board will review the proposals, the proposed refinements in the research agenda, and the national priorities. Once those are in place, we can release the funding announcements I previously mentioned that are scheduled for late May. Dr. Adashi: Is it fair to say that these fundamental statements, in a sense, clarified and cemented the mission of the institute and provided you with a well-backed-up and well-reasoned way of communicating your agenda? Dr. Selby: Yes, I think they give us a very solid foundation. It's easy, and the more you practice it, the easier it gets to use those 5 priorities as a way of talking about what we need to know and what needs to improve so that it can actually be put into practice. Also, because of how broad the priorities are, they point to the essential next task of PCORI, which is to set up ways to communicate with patients, patient advocacy associations, clinicians of all types, health plans, and employer groups -- all of those who need this kind of information. We need to set up ongoing 2-way dialogues. It may be through Web-based dialogue and input, or it may be through convening work groups or advisory committees or advisory councils, but PCORI needs a way to work with its stakeholders to make sure that our agenda is meeting patient needs. We suspect that you'll see us over time honing in on a smaller number of more focused areas and putting special emphasis on and more resources in those areas. But that will not be done hastily; hopefully it will be done with consensus among our wide range of stakeholders and with an eye on what will best serve the country and its patients. Dr. Adashi: PCORI seems to stand out because of its focus on the patient. Generating new information for providers, important as it is, is probably not a new concept. I think the intense focus on the patient, as you articulated, seems to set you apart in ways that could not be extrapolated to other organizations. Could you say a few words about how you think that relationship with patients will evolve in a way that will be influenced by PCORI? Dr. Selby: I'll give you my pipe dream. We very clearly see that our 2 primary clients are patients and the clinicians who join them in making decisions, because most decisions are made jointly. At least ideally, most decisions are made jointly. The last thing we want to do is to somehow isolate patients from their clinicians. We think that's a precious relationship; we want to strengthen it. We think that both patients and clinicians, number one, need better information, and number two, need to be able to understand information better than they do today. Our job is not only to generate more information. Many of the key questions do come from clinicians. I don't think patients or patient caregivers will generate all of the relevant questions. I might go to a meeting with a family doctor at noon and the family doctor has been in the clinic all morning; they have run into 3 great questions just that morning. One of them might be answerable just by referring them to the literature as it stands. The second might be answerable if we synthesized a wide range of evidence that's out here, but at least 1 of the 3 is going to be a bona fide question that needs empirical work. We'll need to study different outcomes to answer the third question; or we need to study different comparisons; or we need to study the same question in a different, broader patient population. I genuinely think that patients, providers, and clinicians will generate the questions, and I think we need to keep both at the table and stay engaged with both. My pipe dream is that both patients and clinicians will be better consumers of evidence because they've asked us to provide them with the evidence that they need. Dr. Adashi: Thinking ahead, because PCORI is part of the ACA, I assume it may be affected by the outcome of the deliberations of the Supreme Court on the constitutionality of the ACA, and potentially by the outcome of the upcoming presidential elections. Have there been provisions to protect PCORI should something happen to the ACA? Dr. Selby: I think, at this point, it's not a good use of our time to speculate. The first question obviously is, "What will the Supreme Court's decision be?" But even beyond that, a lot will have to be settled in lower courts and elsewhere, and also in Congress. In the meantime, we can't really afford to take our eye off of building the organization, so by and large we don't. We move ahead. Dr. Adashi: If I may conclude on a personal note, I was wondering if you would care to share with our viewers some of the seminal influences and events that ended up attracting you to heath research, health policy, and the activities you're currently pursuing. Dr. Selby: When I went to medical school and trained as a family physician, it had never crossed my mind that I would write a scientific article or publish something in the New England Journal of Medicine, or write a grant. I saw myself seeing patients in the neighborhood health center forever. Seven years into my experience at a neighborhood health center in Oakland, California, we got a computer. Our first computer was about 4 feet tall and 2 feet wide. Not long after that, we realized that we could find all of our patients with diabetes in the computer based on the patients who had checked the diabetes box on their patient forms. We pulled them all and we sent them a postcard saying, "Time for your flu shot. Come in." And a couple months later, the dean of the School of Public Health at the University of California, Berkeley, came by, and she began talking to us about community-oriented primary care, using computers to get to know your population, identifying the problems that the population faced, and coming up with solutions that began by understanding what problems your patients were experiencing. You begin to see patterns; you begin to see places where you're falling down; you begin to see opportunities. She also recommended that I study epidemiology, so I took a little time off from the clinic, studied epidemiology at the School of Public Health at UC Berkeley, and fell in love with it. From there, I made my way as an intern, so to speak, or a fellow, to Kaiser Permanente. Kaiser Permanente was a place where, in those days, there was not a lot of computerized data yet, but there was a defined population. And gradually, over time, first doing etiologic epidemiology and then, as the clinical data improved, moving more toward health services research, I began to get very interested in outcome studies and the use of large databases and trials, particularly large practical trials in a population or a cluster-randomized trial. So, years later, when I was called and asked, "Might you be interested in the position at PCORI?" I was primed. Dr. Adashi: On this note, sincere thanks to Dr. Joseph Selby, and to you, our viewers, for joining Medscape One-on-One. Until next time, I am Eli Adashi. Cite this: PCORI: What Is It? How Does It Work? 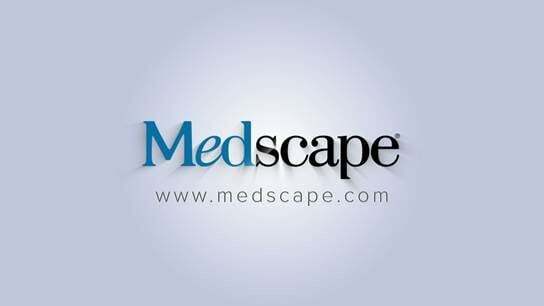 The Director Explains - Medscape - May 18, 2012. Serves as a director for: Alere, Inc.
Disclosure: Joseph V. Selby, MD, MPH, has disclosed no relevant financial relationships.